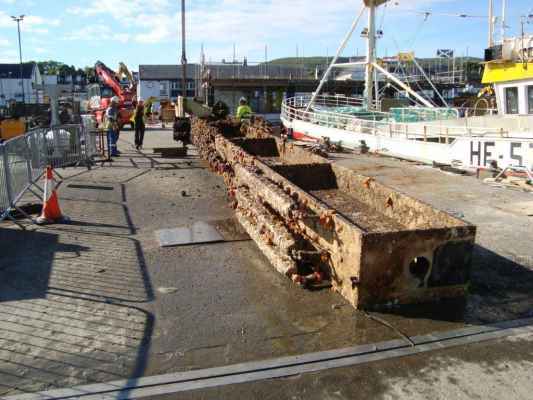 2014/2015 saw the most dramatic changes to the harbour in almost 40 years. 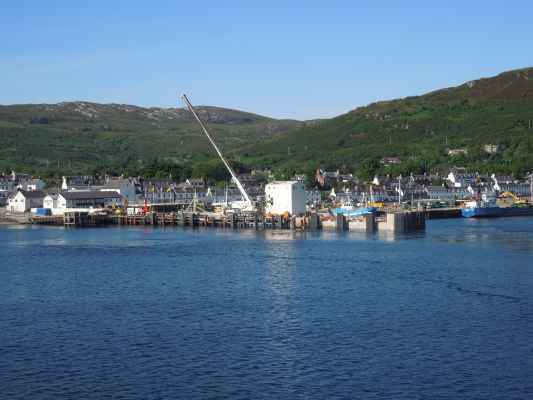 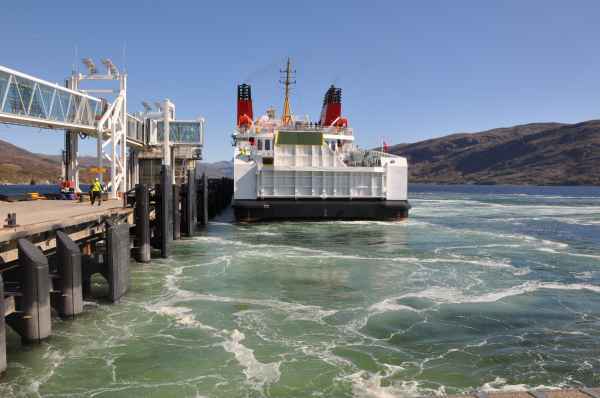 The introduction of Loch Seaforth, a new ferry for the Ullapool-Stornoway route necessitated major infrastructure changes and improvements at Ullapool Harbour. 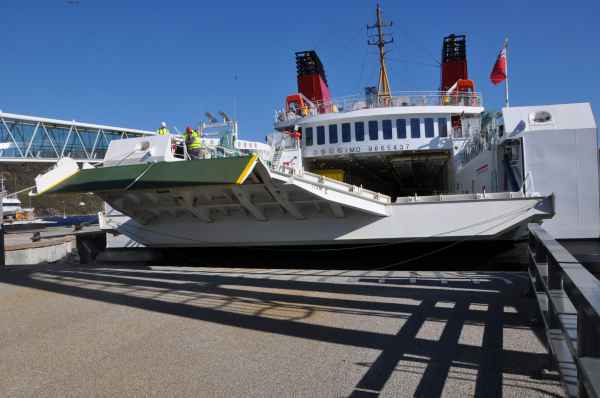 Loch Seaforth, a 116-metre Roll On Roll Off ferry with capacity for 700 passengers and 143 cars (or 20commercial vehicles) arrived in Ullapool in August 2014 fresh from the shipyard. 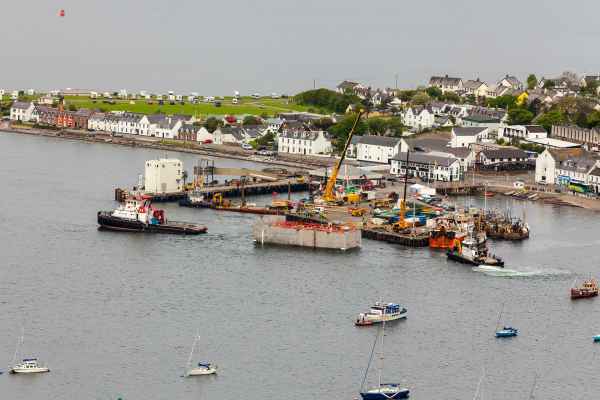 Work began in early 2014 to considerably extend and upgrade the harbour’s infrastructure to accommodate the larger vessel’s design. 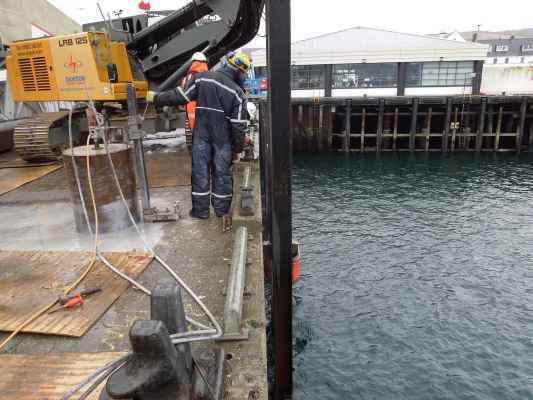 The ferry berthing pier was extended by 33 metres. 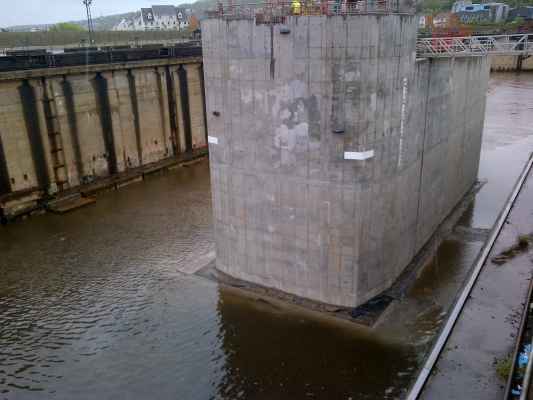 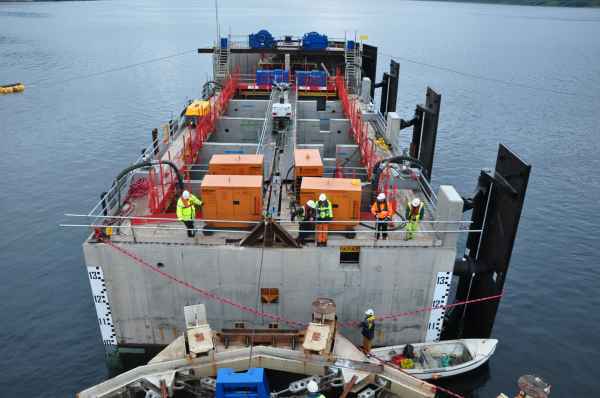 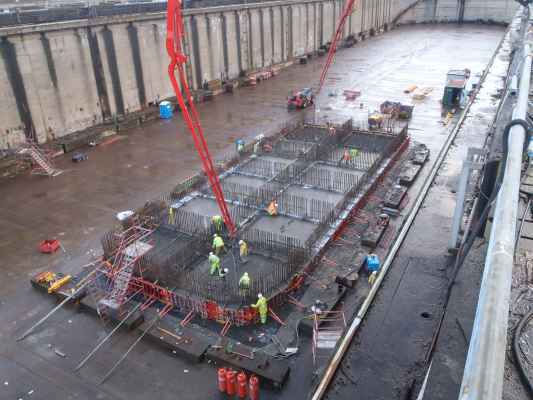 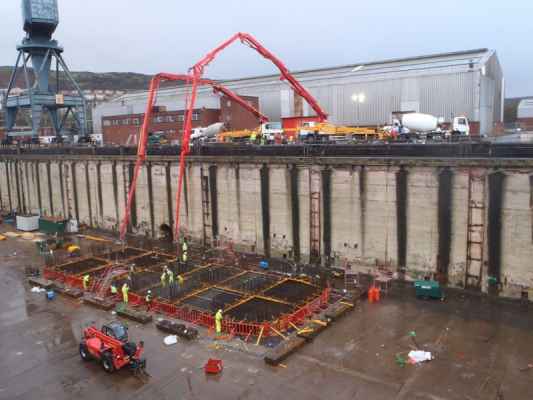 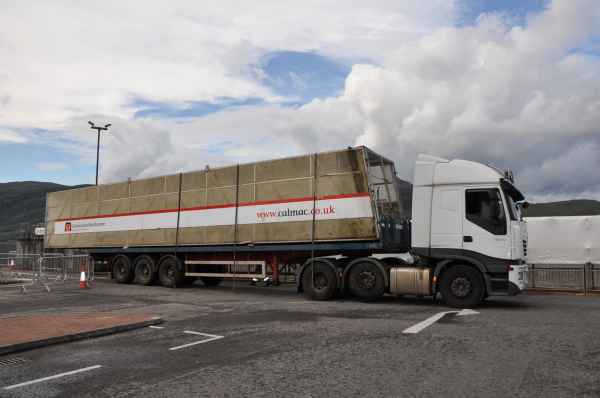 The extension consisted of a specially constructed concrete and steel caisson which was towed from Greenock Dry Dock to Ullapool and lined up to fit with the existing pier. 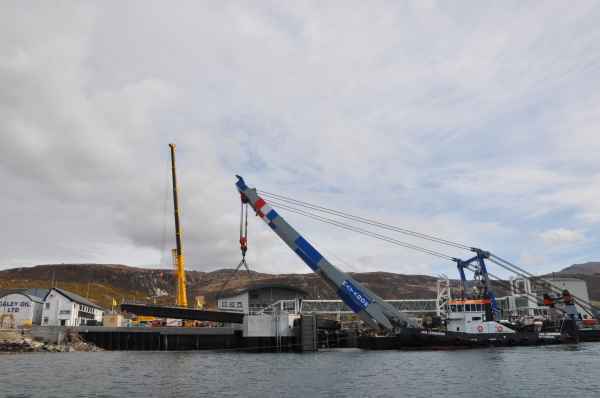 A new fender system was required and fitted to cope with the new vessel’s increased tonnage. 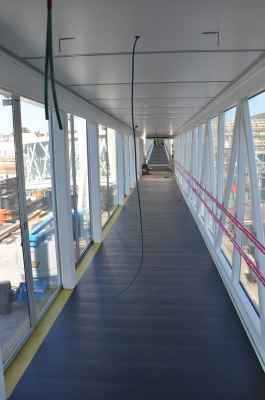 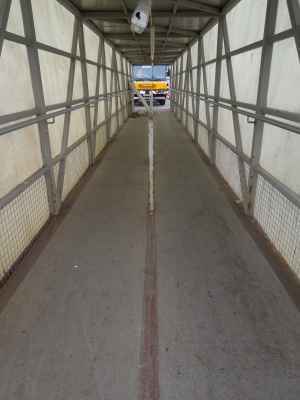 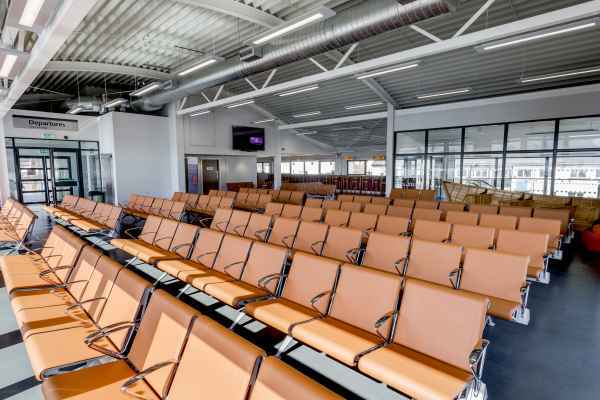 A 60 metre, two-section Passenger Access System (gangway) was designed and fitted and connects the ship to the passenger terminal. 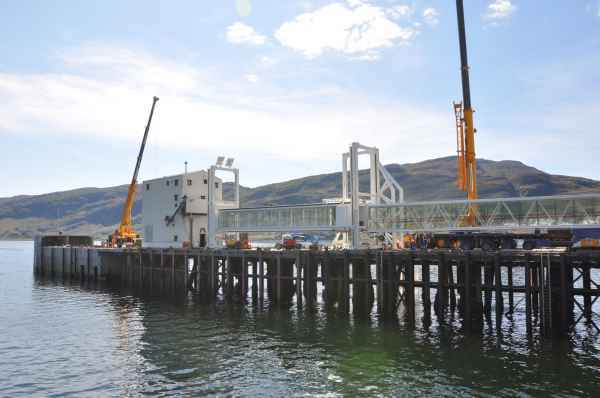 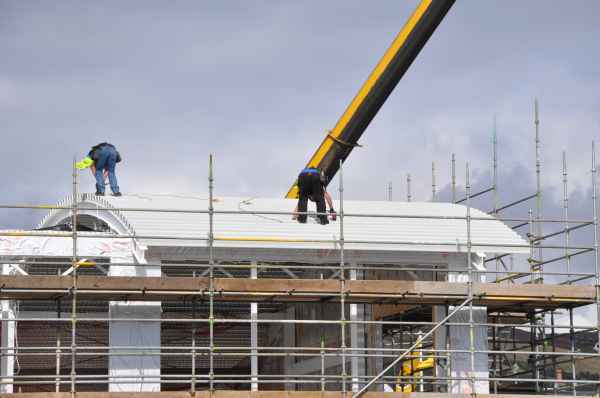 A second storey extension was constructed on the Ferry Terminal building to support the higher level gangway. 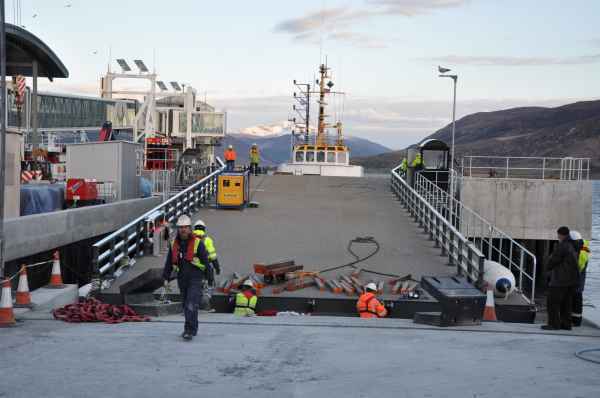 A new two-lane Linkspan (traffic drawbridge to the ferry) was designed and installed. 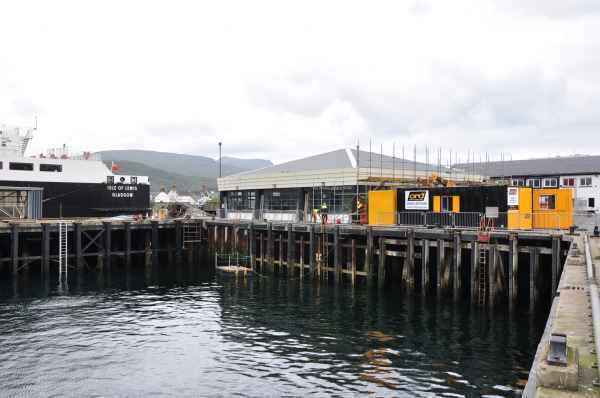 All works were funded by Ullapool Harbour Trust and Transport Scotland. 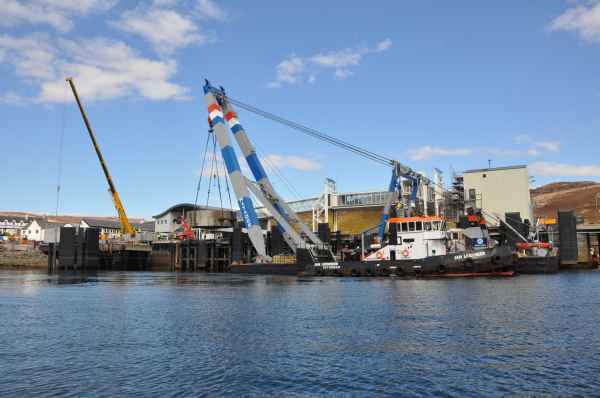 Click to view our Harbour Upgrade Videos.